This is your guide to the Beltane 2016 Summer Fishing event in Celtic Heroes that starts October 4, 2016. I'll be showing you new bosses, quests, chests, luxury items, mounts, fashion, and mobs along with maps and info about each part of the event. Beltane is the Summer event that falls between Ostara (Spring) and Samhain (Fall). 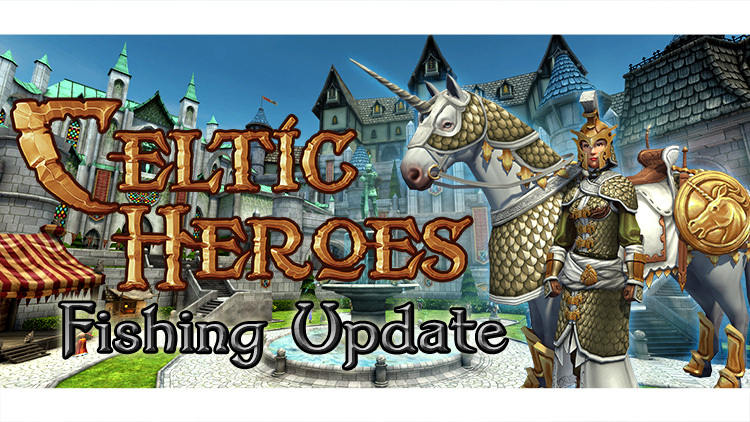 This event marks the return of all the old event bosses from years past, as well as a newly revamped castle and fishing. Fishing has arrived in Dal Riata! Heroes over Level 10 can speak with the Old Seafarer by the newly revamped Lir’s Pier to get started. Heroes wishing to learn these abilities should explore Farcrag Castle to find those who would be willing to impart their knowledge on the subjects. Visual changes to the combat system, including attack damage numbers and impact hits. Updated inventory management screens with inbuilt filtering system. Farcrag Castle has received a grand makeover! Heroes who are lost should speak with Fergal the Noisy in Farcrag Castle Courtyard for directions around the castle. A new shop with luxury items that appeared from Samhain 2013 to Ostara 2016 is now in the Dunskieg Sewers. The shop will only replenish with new items as currently stocked items are bought, so keep a sharp eye out for the item that you need. Two new types of pet have been added to the game. Heroes can exchange Pet Tokens to Sedric the Pet Vendor in Farcrag Castle for Wolves. 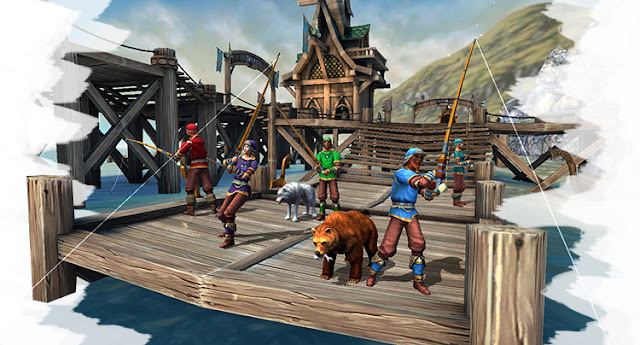 Heroes wishing to acquire a Bear pet must seek out Grizzly McAdams at the pier in Highshore Village, who will start Heroes on the path to earning a Bear pet of their very own. Quests for Wolf/Bear Taming abilities have been added to Druid Robena in Farcrag Castle. Many Legacy Bosses from across time have been permanently reintroduced to the lands of Dal Riata! These bosses can be rarely sighted in Stonevale, the Otherworld, the Murky Vaults and Carrowmore Tunnels. Keep your eyes peeled on your travels! Further additional daily / weekly quests added for the keen adventurer. Fight the Blackstone Cabal in the Otherworld to assist in your battle against Tinneas the Corrupted for level 120 heroes. For heroes at 140 delve the depths of Carrowmore to fight Boggans before challenging Venomspit. Seasonal Beltane bounties have become active through the Bounty Board! Help Lord MacLir’s alchemists gather Sunfire, Skyforth and Moonfrost blooms to create potent potions! Ability to trade bounty tokens upwards from Hunters Favor to Hunters Boons and Hunters Prizes. Talk to Leigh the Sturdy in Farcrag Castle. New faces / hairstyles in the character creation screen. All offhand quivers are now visual! You can buy Solstice Mystery Chests from the Item Shop. These chests can contain any number of incredible treasures. Unicorn Mounts, Fashion Tokens, Pet Tokens, Heroic Elixir bundles, up to 4000 platinum, and a grand prize of 2,000,000 gold! The Solstice Mystery Chest is only available during the Beltane 2016 event, so don't miss out!